We will continue explore the daily and annual apparent motion of our brightest, most important star – the star we love to call our own – the sun! We will conduct many research-based activities throughout the week to form our understanding of these motions, all covered in unit 2 and the unit 2 podcast. Please also remember that you have one more week to complete your unit 1 outdoor lab, which is due at the start of class on Friday, October 3rd. 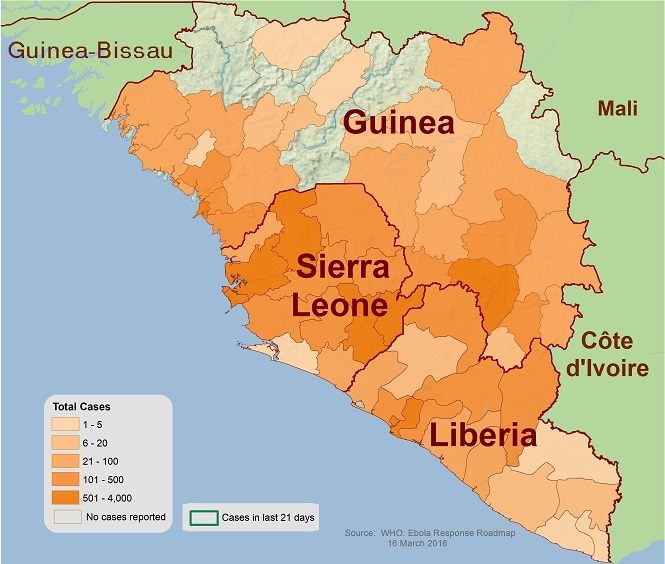 With Thursday’s news that 1,000,000 Ebola cases are expected by January, I thought it might interest you to find out about epidemics and how the Centers for Disease Control approaches them. First, you can find out what epidemics are happening at any time worldwide by checking out the CDC’s page on recent outbreaks. Second, a great way to help deal with epidemics is to become what the CDC calls an Epidemic Detective and work for the Epidemic Intelligence Service. These scientists give hope when situations seem hopeless. That’s pretty cool. On Monday unit 2 homework 2 is due as is your unit 1 lab report. Be sure to hand in one hard copy of your lab report at the start of class on Monday and upload one digital copy to TurnItIn.com by 3:00. We will spend Monday and Tuesday going over the homework and finishing data collection on our projectile lab. Our unit 2 test will be Wednesday. We’ll spend the rest of the week beginning unit 3, which covers mass, force, and Newton’s Laws. We will continue to work with the “four little monsters” known as the kinematic equations as we practice together and then work on assignment 4 in class. Be ready for a quiz as announced. Also please take notes on Podcast 9 – Introduction to Free Fall, Podcast 10 – Free Fall Sample Problems, and Podcast 11 – Terminal Velocity when announced. By the end of the week we will work on assignment 5 to get ready for a test early next week. Marine biology is cool. Check out this rare and very funky siphonophore captured by a deep sea camera crew. I saw my first fall leaves of the year this week…a sign that we are really rolling into the school year now! On Monday we will complete our inquiry activity into the kinematics of projectile motion and will then formalize our understanding with some fantastic notes and practice problems/questions. We’ll be doing homework 2 either for Tuesday or Wednesday. (This is a big assignment but is our only homework this week. Plan ahead.) Expect the unit 2 test by Friday. In addition, your Lab 2 – Acceleration due to Gravity is due on Friday with a hard copy ready to hand in at the start of class and your digital copy uploaded to TurnItIn.com by Friday at 3:00. On Monday we will quiz over accelerated motion. Podcast 5 – Introduction to Acceleration will help you study. On Monday we will also do assignment 3 together in class. A quiz will follow on the day after we complete assignment 3. For Tuesday please take notes on Podcast 7 – Introduction to Kinematic Equations and Podcast 8 – Kinematic Equations Sample Problem. We will discuss those topics and then do assignment 4 together in class followed by a quiz the next day. Finally, please take notes on Podcast 9 – Introduction to Free Fall, Podcast 10 – Free Fall Sample Problems, and Podcast 11 – Terminal Velocity when announced. Expect the Unit 1 test in the early part of next week. Two big solar storms (i.e., lots of solar flares on the surface of the sun) happened this past week, and their effects will reach us this weekend. On the plus side, this is your chance possibly to see the aurora borealis (also called the Northern lights) here in Cleveland if our skies are clear and conditions work in our favor. On the down side, there’s a reasonable chance that the electromagnetic energy from these storms may disrupt satellite communication and even our electrical grid systems. Brace yourselves for a possible analog weekend! Here comes another great week! We will finish our Acceleration due to Gravity experiment and go over how to create and submit lab reports. We will also begin Unit 2 on two-dimensional motion. This will include vector operations, and we will use projectile motion as our example. Please be sure to use the resources on the Unit 2 page as we move through the material. Please also remember to check out the AP Physics Question of the Day, which is a nice way to practice. On Monday we will complete our first big assignment together in class as we do assignment 1 followed by a quiz on the day after we complete the assignment. We will then continue to explore accelerated motion as covered in podcasts 5 & 6 on our Unit 1 webpage and will complete assignment 2 together in class. A quiz will follow as announced. It is possible that by the end of the week you will be asked to take notes on Podcast 7 – Introduction to Kinematic Equations and Motion in One Dimension Podcast 8 – Kinematic Equations Sample Problem, so please do so if announced. LAB: Your Analysis of Uniform Motion Lab is due at the start of your class period on Friday. It also needs to be uploaded to TurnItIn.com by Friday at 3:00. Additional note: If you have not already done so, please download the Physics Course Policies and Procedures document, go over it with your parent(s) or guardian(s), print the last page, sign it, and turn it in. This was due on August 29. At this point, the possibility exists of delays in grade submission and class participation, so please turn the page in promptly if you have not already done so. On Monday we will take a quiz over star mapping. Podcast 1 – Star Mapping will help you study. Next we will continue to move through our unit on star maps by exploring the key mapping features of the celestial equator and the celestial north pole in more detail. We will also take a look at how the positions of the stars change as we travel north-south from one latitude to another, and we will also learn to spot changes in the sky as the time of year changes. The following podcasts will support your learning: Celestial Equator and Celestial North Pole, Circumpolar Stars, and Seasonal Constellations and Star Magnitude. 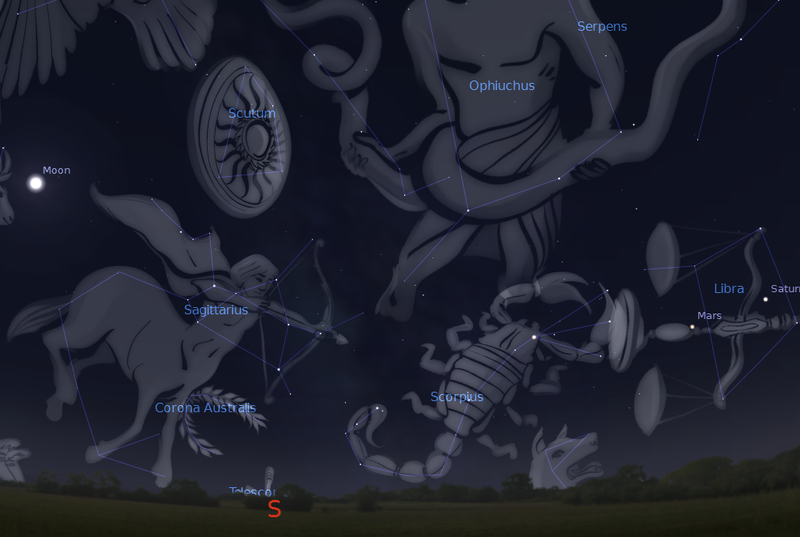 We will also spend some time this week exploring the sky in a virtual manner using some fantastic free software called Stellarium. We will take a test on this unit sometime next week. Please note: If you have not already done so, please download the Astronomy Course Policies and Procedures document, go over it with your parent(s) or guardian(s), print the last page, sign it, and turn it in. This was due on August 29. At this point, the possibility exists of delays in grade submission and class participation, so please turn the page in promptly if you have not already done so.